Brüel & Kjær has launched an updated version of its environmental mapping software - Predictor-LimA Type 7810 version 11.2. ROYSTON, England - Nov. 29, 2016 - PRLog -- Predictor-LimA Type 7810 version 11.2 responds to customer input and resolves some issues to provide more robust software, that enables calculations in line with latest agreements on standard interpretation (ISO 17534). Other Enhancements include feature importation from open street map in LimA to create models more quickly, Chinese calculation methods and - in Predictor - enhanced results presentation. 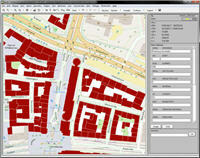 The Predictor-LimA suite models real life quickly and accurately, enabling even infrequent users to work efficiently. The basic version supports British Standard Code of Practice BS 5228:2009 and ISO 9613, making it ideal for consultants and local authorities investigating noise complaints, as it ensures measurements can be used as legal evidence. Other packages are available that expand the capabilities and calculation methods, including calculation of railway noise (CRN) and calculation of road traffic noise (CRTN). The LimA software allows easy integration with external data sets and calculation components from other systems. It includes powerful macro functionality with automated data manipulation and advanced geometric handling for modelling without the need to use other software, such as a geographical information system (GIS). These combined tools provide users with fast, easy environmental noise calculation and analysis for many different applications, ranging from small-scale impact assessments, such as neighbour noise to mapping large, built up areas in big towns or cities.